The Venco Plant Hire firm in Fairfax has placed an order for over 20 new Kubota excavators to the firm, taking the hire fleet to over 100 available in total. The order itself consists of 2 of Kubota’s prime products – 20 of the KX71-3 mini excavators and 2 of the micro U10-3 zero tail swing mini excavators. 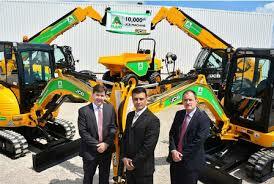 These compact diggers will fit well within the existing fleet at the Fairfax Plant Hire firm. Director of Fairfax Plant Hire, Matthew Love, has said that Kubota machinery is ideal for hire companies for a number of reasons. 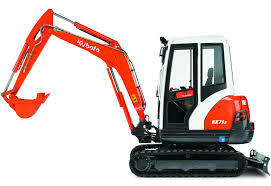 For example Kubota diggers are easy to operate as they offer an enhanced force both on arm digging and bucket digging. Plus, the KX71-3 in particular is said to be capable of delivering some of the largest digging depth and reach for any machine in the mini excavator 3 tonne weight category according to manufacturer Kubota, making it a great buy for a smallish piece of excavation machinery. Fairfax Plant Hire has used Kubota machinery in the past and will continue to strike up deals like this to buy from them time and time again, as the company believes that not only are these machines reliable and revolutionary for their size, they are also a relatively cost-effective choice for operators, making them ideal for hire. The Kubota Corporation which makes these excavation and digging machines, was originally founded in 1890. Since then the company has gone on to manufacture everything from trtacotrs and agricultural equipment to vending machines, pipes, air conditioning and of course the construction equipment we see in the industry today. The most famous of their creations is the Solar Ark which resides in Japan, and is both a visual masterpiece and a cultural wonder which enhances solar power through over 5,000 solar panels.